I've purchased 3 cars from Joe Genty of Ray Catena Porsche over the past few years. Before that, I worked with several Porsche salespeople going back 20 years, and none of them come close to Joe in terms of professionalism.Joe's level of service goes above and beyond what others do. He remembers conversations about what kinds of cars his customers like--and when a car comes up that might fit the profile, he contacts you quickly to see if you might be interested. This includes cars that are harder to find. I always thought it would be difficult to obtain Porsche's GT cars, requiring getting one's name on a list, but Joe let me know they had a used GT4 to see if I might be interested. I was. The same thing occurred just a month ago, but this time it was for a brand new GT3 with a manual transmission. Again, I was interested. That level of customer commitment is rare, and I would happily recommend Joe to anyone who values the relationship between customer and salesperson! Joe did a fantastic job not only trying to fit my wish list in a new Porsche but also working his best on the short time frame I gave him. John Algarin at Ray Catena Porsche is a pleasure to deal with. Knowledgeable and enthusiastic. I have bought several cars with them and have always been satisfied. We just leased a new car from Ray Catena Porsche. The sales representative we worked with was great. We would highly recommend Joe Genty. He listened to our needs and delivered what he promised. A special thanks to Mr. Joe Genty!! I just purchased my second car with Ray Catena, Edison NJ and Joe was excellent in helping and answering all my questions and helped me choose my car ! He was ready with all the answers and was very patient throughout the process ! He was reachable on his day off too !! Will recommend him and Ray Catena anytime! Mr. Morris Grysman made my buying experience a plus. Very patient, informative, polite and friendly. Gave me a great deal on my 2019 718 Cayman. You can't ask for a better person to go to if you are interested in purchasing a Porsche. Very happy with my purchase and experience at Ray Catena Porsche. Thomas Caccese was an absolute darling during the signing of all those papers which created my pleasant experience on the purchase of my Macan. I really enjoyed the atmosphere of your dealership, especially with the fresh air flowing in from the open windows and doors. 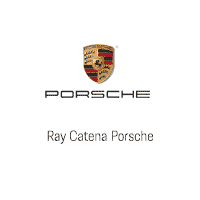 In my experience, Ray Catena dealerships have always offered great service and this Porsche dealership is no different! Mike Marinelli is an experienced professional and made the process of ordering a Porsche so easy. He helped build a car to my specifications without “upselling” and provided periodic updates until car was delivered. I would highly recommend Mike to anyone in a heartbeat!